As part of specialist Rolex Daytona auction in May, Phillips is auctioning what is believed to be the first white gold Daytona made by Rolex. The watch will be sold for the benefit of Children Action, a foundation dedicated to helping the lives of youth around the world. It will headline Daytona Ultimatum, a themed sale from Phillips in Association with Bacs & Russo offering 32 of the rarest Daytonas ever made by Rolex. 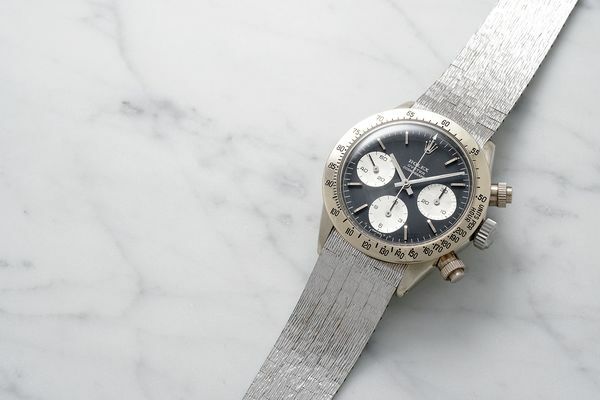 The white gold Daytona is dubbed as The Unicorn due to its rarity, being the earliest known white gold Daytona around. Daytonas were made back in the 60s and were intended as an everyday watch, which is why more rugged steel was typically used. The piece was donated by John Goldberger, a horological scholar who has published many books on luxurious pieces and brands. However, it is assumed the piece dates back to 1970 as a unique commission from a deep-pocketed customer. The piece was then delivered to a German retailer the following year. The watch is fitted with a sigma dial with white gold indexes and white subdials. The piece also comes with a white gold bracelet with bark finish, which was added by its current owner following the purchase of the watch; it is assumed the piece initially sported a leather band. 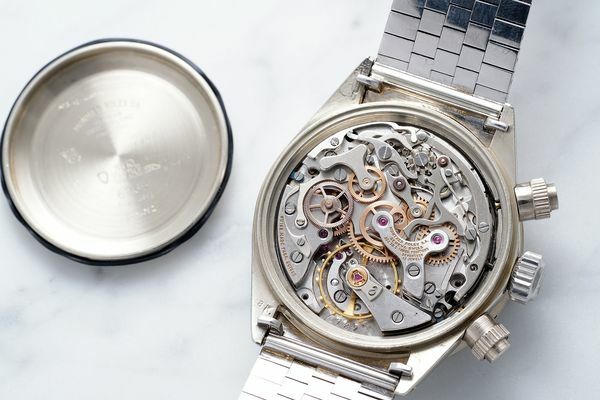 The watch is expected to make in excess of CHF 3 million, Phillips estimates.